What happens when an artist picks up her paintbrush after a long hiatus? Does the body still remember what has been lived? Or are the senses dulled by time, the joints fused with experience? 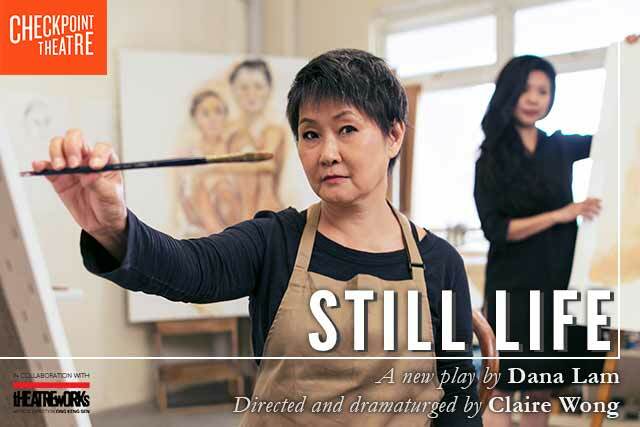 Still Life is an affecting look at life and art-making. In this deeply personal performance, Dana Lam rediscovers and reclaims her journey from the 1950s to the present, through her twin first loves: writing and painting. From journalist to activist, from daughter to grandmother, she confronts the choices and tensions that keep a life in balance. The result is an evocative portrait woven of lyrical prose and the unflinching gaze of an artist coming to terms with her own nakedness.